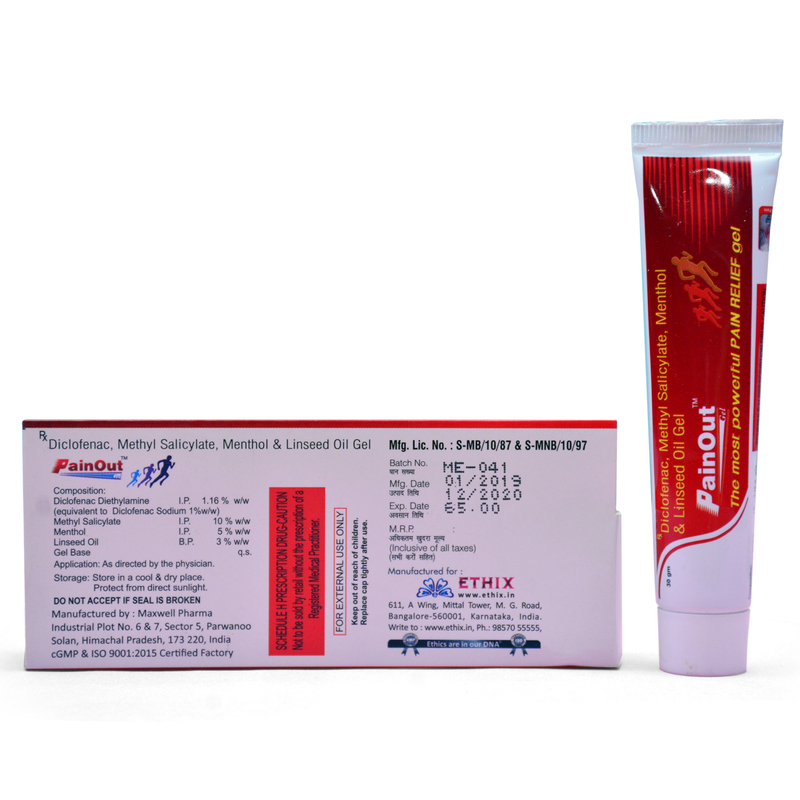 Description: PainOut gel is used to treat arthritis of the knee(s). It reduces pain, swelling, and joint stiffness and helps to improve your ability to move and flex the joint. Diclofenac is known as a nonsteroidal anti-inflammatory drug (NSAID). What is diclofenac sodium in PainOut gel topical gel 1% used for? Diclofenac is a nonsteroidal anti-inflammatory drug (NSAID). It works by reducing substances in the body that cause pain and inflammation. Diclofenac topical (for the skin) is used to treat joint pain caused by osteoarthritis. What are the uses of menthol and linseed oil in PainOut gel? Menthol and linseed oil provide a cooling sensation can help distract the body from pain signals to ease comfort. One to try is PainOut gel is a Pain Relief Gel, which is used by chiropractors, physical therapists, massage therapists, and athletic trainers to relieve muscle and joint pain. The formula contains 4 percent menthol—which is responsible for the cooling sensation. What are the side effects of diclofenac sodium in PainOut gel topical gel? Itching or rash at the application site.